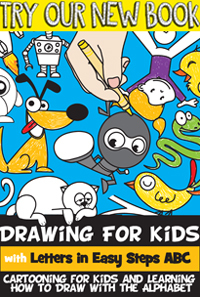 Christmas is coming up soon so it is time to start decorating the house with your arts and crafts projects and activities. 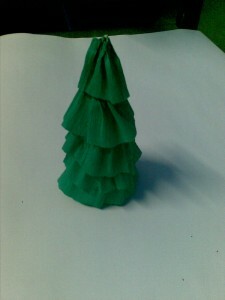 This mini Christmas tree will look great on your window sill, or on the table this Christmas. All you need is some paper, scissors and glue. So get started right now- the instructions follow. 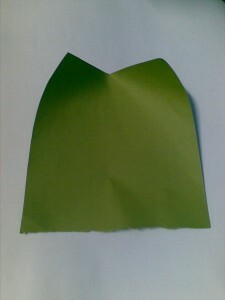 Cut a strip of crepe paper. 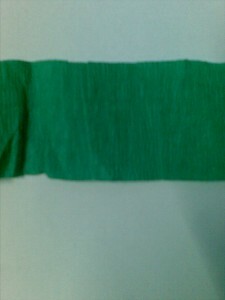 Make sure the creases are as shown in the picture. 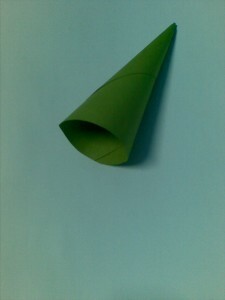 Cut a piece slightly wider than the circumfrence of the lowest part of the cone. 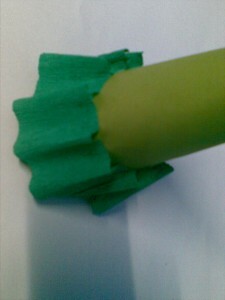 Stick the ends together to form a ring. 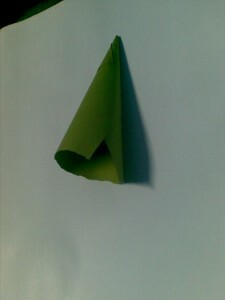 Place the crepe paper ring in the cone. 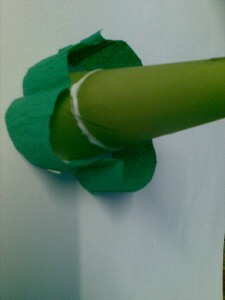 Apply glue on the cone as shown in the picture. 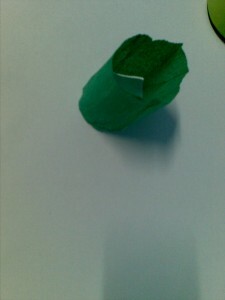 Use 2 fingers to press small bits of the crepe paper together to make small folds while gluing the top edge of the paper ring to the cone, as shown. 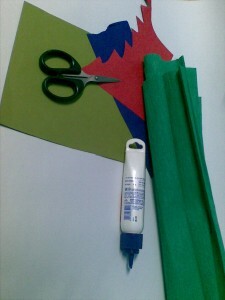 Cut another strip of paper, this time shorter in length and repeat the steps above. Repeat the procedure till the tree looks like this. 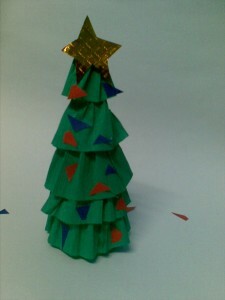 Cut out a gold colored star and some paper bits of different colors to decorate the tree. i dont understand how we will stick it to the stick? 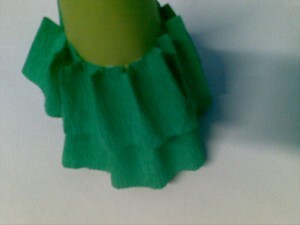 With glue on the crepe paper and sticking it to the cone.